The canyon along the river Toktogul will be the background of today’s km that will take us to Osh, the second city of Kyrgyzstan. We will stay overnight in Osh. We will enter Tajikistan exploring the humid valley that separates us from the border with Uzbekistan. Once in Khujang we will stay overnight ready to take the M41. 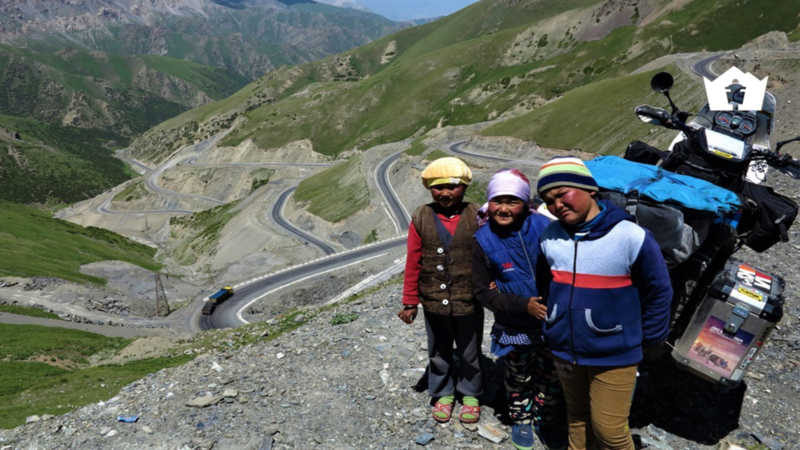 While our support vehicle travels through the dreaded Anzob Tunnel on the way to Dushanbe, we cross over a 3000 m pass. Since all traffic passes through the dark and wet tunnel, we have the imposing passport for us all alone. We stay overnight in Dushanbe. 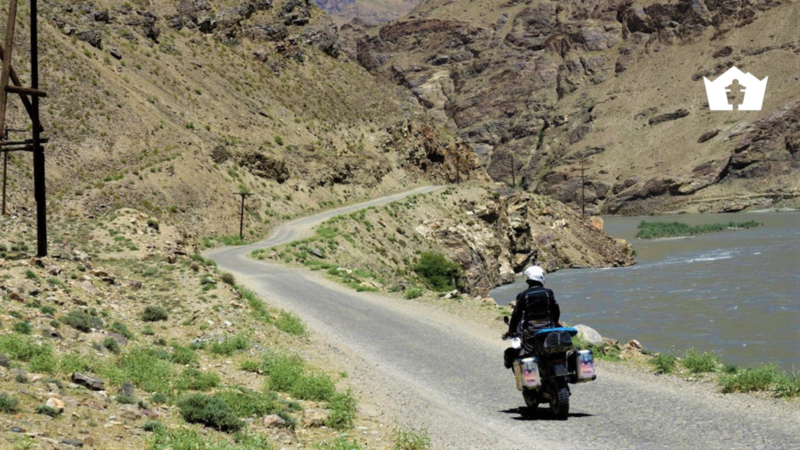 There are two ways to get to Kalaikum: Either on the winter route in the south of Tajikistan or on the M41 across the mountains, over bumpy roads that are partially interrupted by watercourses. If possible, we will choose the second more demanding but all the more attractive route. We stay in a homestay. We have the opportunity to have an insight into the everyday life of a Tajik family and also to enjoy their generous hospitality. The mighty river Pansch accompanies us to Khorog. The river and the road meander through a fascinating gorge. On the other side of the river almost every green spot is used as a location for an Afghan village. Khorog, a university town in the middle of the Pamir, offers us a cozy hotel and a good dinner. Our journey continues through the Wakhan Valley, along the border with Afghanistan to Bibi Fatima. The Wakhan Valley is inhabited by its own ethnic group. These people differ not only from their own language, but also externally and culturally from the Tajiks. In Bibi Fatima we have a magnificent view over the Wakhan Valley. Of course, we also use the hot spring, which is idyllically located in a rock tomb and with over 40 degrees warm water to a wonderful bath invites. We stay overnight in Bibi Fatima. On the way to the Pamir plateau, the air gets thinner and thinner, but the visibility is clearer. Apart from wild camels, yaks and a few shepherds, we are alone in this seclusion. We spend the night in a homestay on Lake Bulunkul and have time to visit hot springs and a mini-geyser. We are now on the legendary Pamir Highway or the M41. 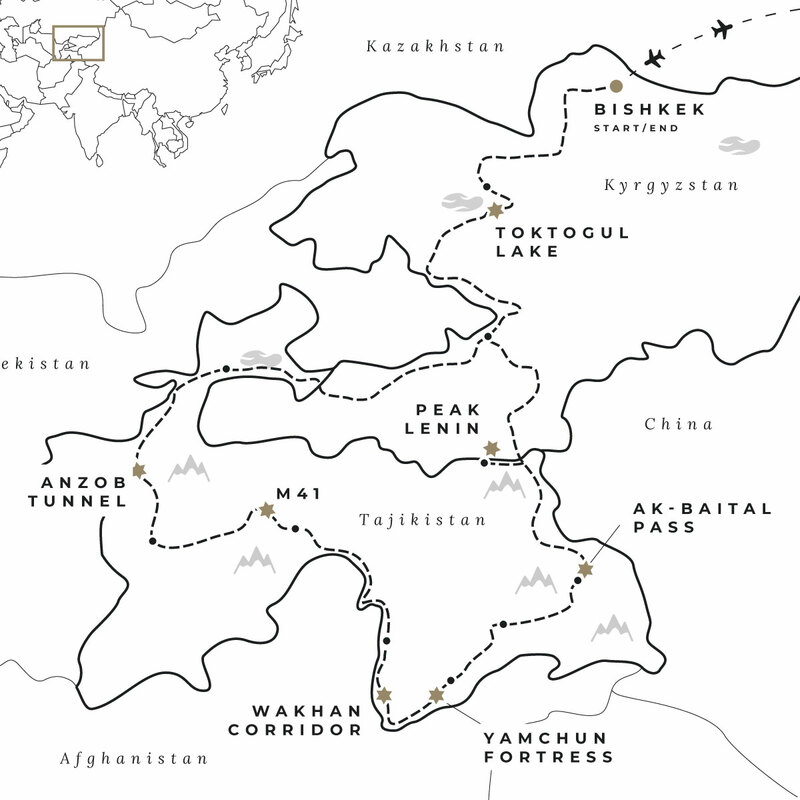 The road was still built by the Soviets along the Afghan and Chinese borders. Today, it is still partially used by Chinese transport vehicles. We cross four passes with over 4,000 m altitude. The Ak-Baital Pass with its 4,655 m is the highest of them. In Murgab, a former coal-mining town, we spend the night in a hotel and, apart from hot springs, we can once again have a shower for days. Our onward journey takes us to the beautifully situated Karakul Lake. We spend the night in Karakul right on the lake. The next day we cross our last pass, the Kyzyl-type with 4,200 m height. Here we reach the border with Kyrgyzstan. Before returning to Osch, we make a detour to the base camp of the Pik Lenin at over 3,500 m altitude and enjoy in good weather a fantastic view of this mountain giant. 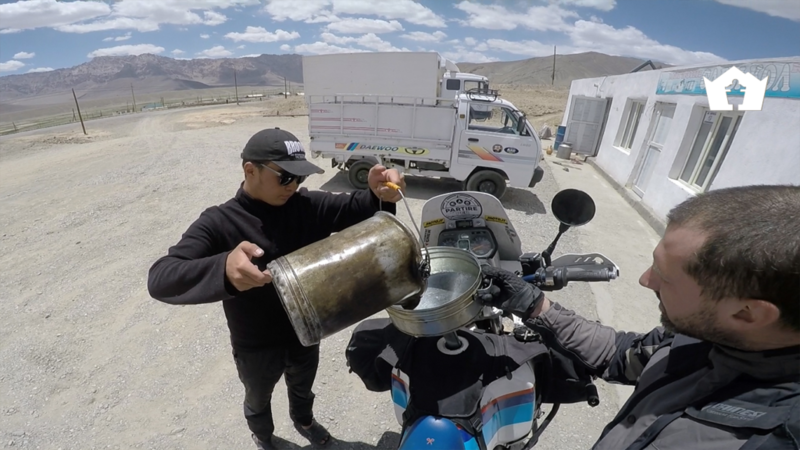 We return to Toktogul on the way back and after a pleasant overnight stay, we reach Bishkek where we return the motorcycles and consume the farewell dinner at the hotel before boarding the plane that will take us home tomorrow. The first and last days mentioned in the itinerary are the arrival and departure days for tour start and end. Depending on the country you start in, you may have to leave a day early, subsequently, you will arrive one day later back home. This tour starts in Reikyavik (FRU) and ends in Reikyavik (FRU). Book your flights accordingly! Route and overnight places may change due to unforeseen events.